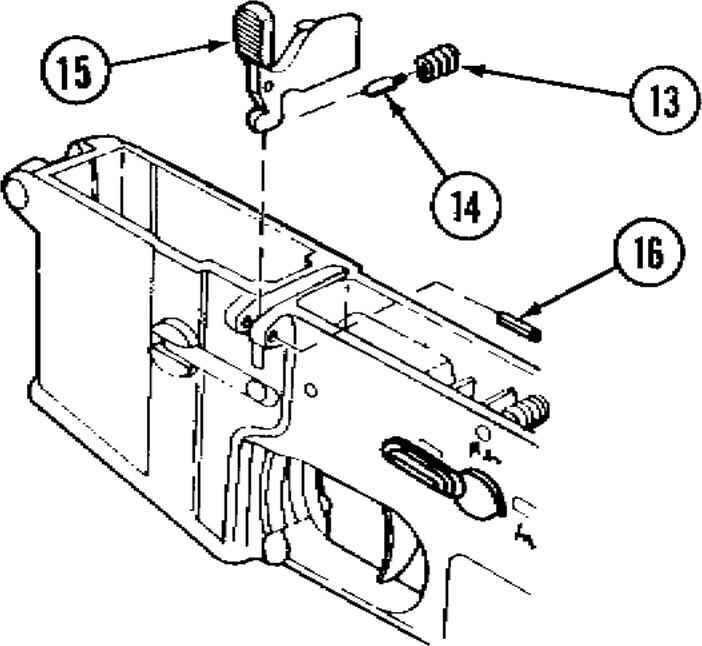 Ammunition for rifles is usually packed in five-round clips (fig. 34), three clips to a cardboard package, twenty packages to a hermetically sealed zinc-coated metal container (a total of 300 cartridges), and two metal containers to a wooden box (a total of 600 cartridges). The wooden boxes are marked as illustrated in figure 35. Rifle ammunition also may be packed in twenty-round packages tied with a string or tape; twenty-two such packages are hermetically sealed in a metal container (a total of 440 cartridges), and two metal containers are then packed in a wooden box (a total of 880 cartridges). 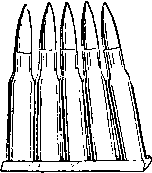 Machinegun ammunition is packed in this same manner. There are no color markings on the packaging of the light bullet M1908; however, the heavy bullet M1930 has a yellow stripe on both the inner metal and the outer wooden packing boxes.